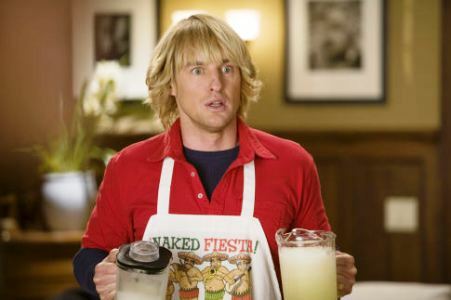 Owen Wilson May Not Be Jade Duell’s Baby Daddy! At the beginning of this year, actor Owen Wilson and his girlfriend of barely a year welcomed a child into the world. Now we’re hearing that the baby may biologically belong to Jade Duell’s ex-boyfriend – with whom she was living at the time she and Owen first hooked up. That changed when Jade, 28, discovered she was expecting. “She immediately started making plans to move to Los Angeles,” reveals the insider. Jason finally found out about the affair when a coworker Jade confided in spilled the beans. When contacted by Star, Jason refused to comment. I have nothing kind to say about a woman who knowingly lies to a man about the paternity of her child; claiming it’s his when she knows darn well it’s not. I’m not saying that is the case here, but I’m not saying it’s not either. I’m just sayin’. previous post: Happy Birthday Paris Hilton! Today you are 30. 50 queries in 0.678 seconds.